CANTOR NATALIE YOUNG is an award-winning composer whose music is being used by communities all over the world. Her gift for writing beautiful and memorable melodies has made prayer experiences accessible for worshippers young and old. The power of music is something she takes seriously not just in her music writing, but how she connects with people and crafts services as a cantor. Natalie proudly serves as the cantor at Temple Beth El in Aliso Viejo, California. She is also privileged to be able to share her musical gifts and teachings with communities as a cantor/composer-in-residence throughout the year. Natalie’s work can be found in various publications including: Shirei Ha-T’fillot by the Movement for Reform Judaism, the Ruach Songbook, and the Shalshelet Festival Songbook. She has been commissioned to compose a piece for the upcoming Shirei Mishkan HaNefesh Anthology (due for release in the spring of 2015). Her songs have been featured at URJ Biennials, the Shalshelet Music Festival, Hava Nashira, American Conference of Cantors conventions, North American Jewish Choral Festival, HUC-DFSSM, and various concerts around the country. Many of her songs have been recorded by other artists. 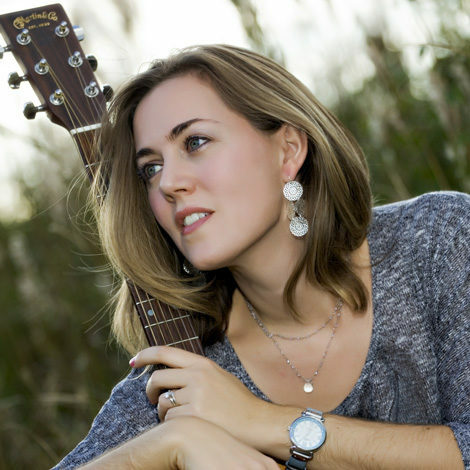 Her recording projects include the WRJ Centennial CD, Stacey Beyer’s Candle Blessing Project, Noam Katz’s Mirembe, The Soul Within, and Kol HaLev V’Kol HaNeshama. Natalie has released two solo albums of original music; Carry Me and Natalie Young: Standing on the Shoulders. Natalie was recently published in the book: Music, Carrier of Intention in 49 Jewish Prayers. And in the summer of 2015, The Natalie Young Anthology was published, bringing her sheet music to musicians around the globe. Natalie lives in Irvine, CA with her husband, Rabbi David Young, their three children: Gabriel, Alex, and Bella, and their dog, Orion.